For those of you who grew up with the Harry Potter phenomenon you know that the boy wizard’s story is timeless. 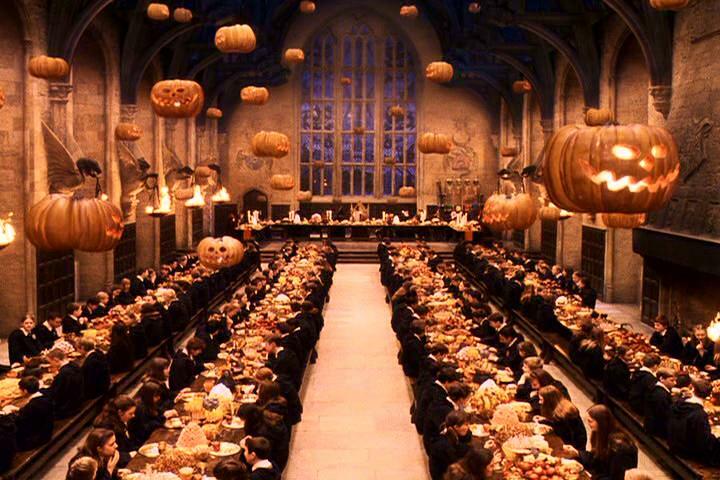 As we get closer to Halloween and the witching hour you might be looking for a fun Halloween Party idea since not everyone can make it over to Hogwarts for Halloween. Or perhaps your kids started reading the books or they have been watching the movies and you want to do something fun with them! 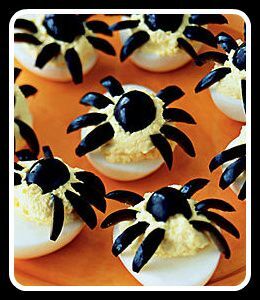 Either way here are a few fun ideas for treats that you can serve at your very own Harry Potter Party along with some fun viewing ideas. A wide variety of candy, sprinkles and other decorations. Empty the bags of meltys into microwaveable safe bowls and microwave them at 20 second intervals until the chocolate melts into a proper liquid. 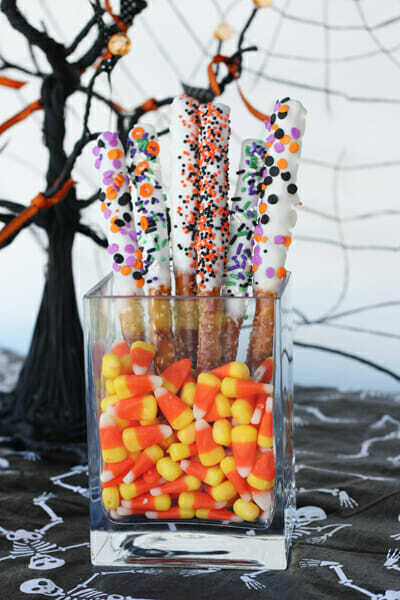 Place the bowls of chocolate along with the candy and pretzels on a clean surface for the kids to start dipping the pretzels and designing their own wands. Line a cookie tray or baking sheet with parchment paper (no irony there) for the kids to let their wands harden before eating them. **Note of warning- This activity can get very messy and if the chocolate starts to harden in the bowls just put them in a microwave for another 15-20 seconds. ***If you don’t have a microwave a double boiler works just as well for melting the chocolate. 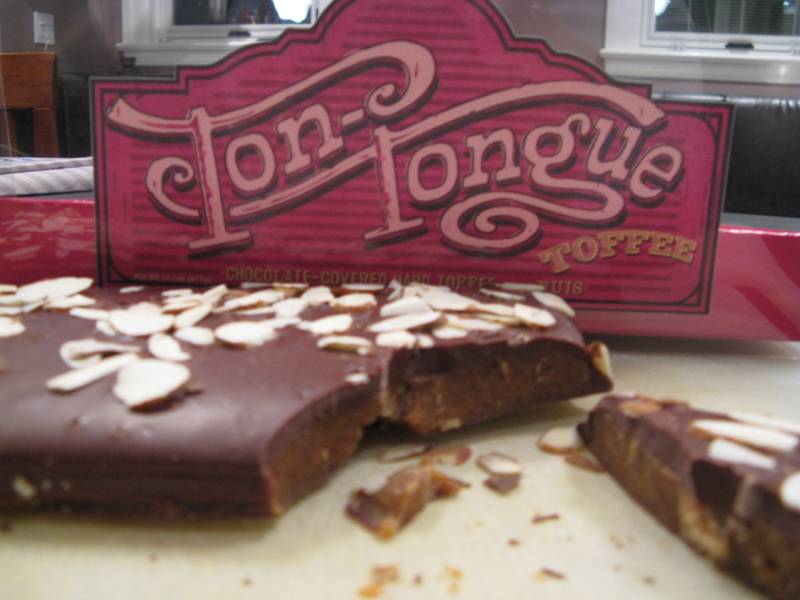 Without stirring, boil until mixture reaches 290 ºF on a candy thermometer. Pour into a buttered, 9-by-12-inch pan. Let cool until almost firm to the touch. Mark into 2-inch squares with a sharp knife. When cool, break into squares or shards. Prepare eggs by slicing them in half lengthwise and scooping the yolks out into a medium sized bowl. Arrange the halved whites of the eggs on a plate and scoop or pipe the filling mixture into them. Garnish with a shake of the Paprika if desired for taste. Take the can of Olives and drain them. Cut them in half lengthwise. Place one half in the center of each egg full of filling. Cut the remaining halves of olives lengthwise into strips for the legs and add four legs to each side of the body. Dump the white Meltys into a microwaveable bowl and put the bowl into the microwave for about 20 seconds. Continue this until the chocolate is a liquid. Dip the cookies into the melted chocolate and then let them sit on the parchment paper to harden. When hardened dip the other end into the chocolate so that the whole cookie is coated and wait till it is hardened. 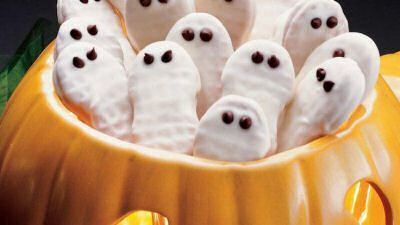 Repeat the melting process with the regular chocolate and using a fork or a toothpick to make the eyes and whatever faces you want on the ghostly cookies. First mash the boiled/steamed pumpkin and set aside. Heat the olive oil in a pot and stir in the onion until golden brown then add the carrot. Pour in the chicken stock, mashed pumpkin, paprika powder, cinnamon powder, nutmeg powder, and dried oregano and boil until the carrots get soft. 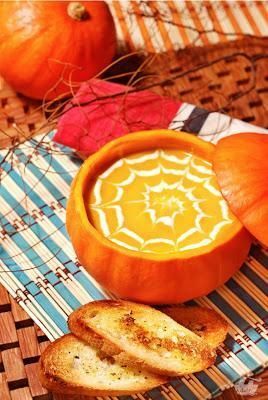 After the soup is boiled and the carrot is soft turn off the fire then blend the soup in blender or you can use hand-blender to do it. Blend the soup til all the ingredient is mixed up and make sure nothing is still in chunk. Turn on the stove again. Pour the cream and some butter, add salt and pepper for seasoning. Then pour some plain yoghurt before you serve it. For wizards over the age of 21 we bring you! Harry Potter Alcoholic Drinks! Check out these magical sites for some shockingly good drinks based on your favorites! Book a Personal Chef for your Holiday Meal! Planning your Holidays? Rise and Shine Catering offers several meals plans with Personal Chef’s at affordable prices. Inquire soon! The holidays are booking up fast! We also offer full event planning with venue rentals, staffing, rental equipment! Full table set up available for Holiday parties!